Braided fishing line quickly caught anglers’ attention when they were first introduced to the sport, and their popularity hasn’t waned since then. In fact, it’s easy to find fishermen who swear by braid, and its many favorable characteristics make it an ideal choice for a variety of situations and techniques. No one type of line is superior in every case, and there’s no “best line” for fishing. That said, braid has a wide range of applications. If you’re wondering when and how to use these superlines, we’re here to help–keep reading! Choosing a quality braided superline can be a headache, too, as there are dozens of options ranging from the very high-end to budget offerings. Which ones are worth the money, and how do they perform in the real world? To help you answer these questions, we’ll explain what we look for in a good braided superline, offering you reviews of some of our favorites. Sufix 832 – Our Pick! 1 Why Choose Braided Fishing Line? 3.1 Sufix 832 – Our Pick! 4 Our Pick – Sufix 832! Why Choose Braided Fishing Line? Braided superlines are composed of spun polyethylene fibers that are then woven together into a single strand. Two fiber types are available to manufacturers, Dyneema or Spectra, and the only real difference between them is in processing. But braided lines do vary in how many fibers they weave together, ranging from a low of three to as many as eight. Many high-end superlines are then coated to reduce water absorption, improve handling and casting, and provide greater resistance to abrasion. But because Dyneema and Spectra are very slick materials, they’re hard to color. Strength – Braided superline offers superb tensile strength for diameter. In the real world, this allows anglers to run heavier line than if they’d chosen a monofilament or fluorocarbon alternative. For instance, 20-pound Sufix Performance Braid has the same diameter as 6-pound monofilament. Low stretch – Though many anglers believe braided superlines don’t stretch, that’s not the case. But in contrast to mono and fluoro, which can stretch as much as 25 percent, braid will typically stretch from 1 to 8 percent of its length. Sensitivity – Braided superline’s low stretch means increased sensitivity, and the longer the line, the more you’ll notice this advantage. Casting – Most braided superline is very limp, featuring almost no memory. As a result, it generally increases casting distance. How much depends on the brand and weight, as well as your rod, reel, and technique. Low shock strength – Because superlines don’t have a lot of stretch, when they’re suddenly subjected to shock, they can’t mitigate that impact. That can lead to sudden failure, usually in a knot. Tangling – Thin braid likes to tangle in the wind, and when it does, it’s much harder to work with than mono. Poor tying and low knot strength – The basic fibers composing braided superlines don’t bite well on themselves. As a result, they are very hard to tie into a knot that will hold under force. The Palomar knot is among the best options for a knot that will reliably hold, but even then, knot strength is uniformly low on braided line. For instance, TackleTour’s tests revealed an average knot strength of just 49 percent. For 20-pound test, that means that average braid will start to experience knot failure at just 9.8 pounds! Visibility – Braid is hard to dye. Generally speaking, you get darker shades that quickly fade or bleed. There are exceptions, of course, and some of the better brands offer more colors. But that said, both mono and fluorocarbon are less visible in clear water. Generally speaking, braided superlines are not a good choice where you’ll encounter abrasive surfaces. After assessing the strengths and weaknesses of braid, it’s easy to see situations where it’s an awesome choice. When we need more line – If you’re chasing marlin or other large saltwater species that can run for hundreds of yards, you need as much line on your reel as you can get. Watching those last few yards of line rush off the spool is heart-stopping, and if it’s ever happened to you, you know exactly what we mean! Because braided superlines are very low diameter for strength, you can pack a lot more of them on your reel. When we’re fishing long or deep – If you jig in deep water, troll with deep-running lures, or use any technique that results in a lot of line between your reel and your terminal tackle, it gets hard to detect light strikes or to create a quick, sharp hookset. Braided superlines are at their very best in these situations, delivering the sensitivity and low-stretch that’s ideal for this kind of fishing. 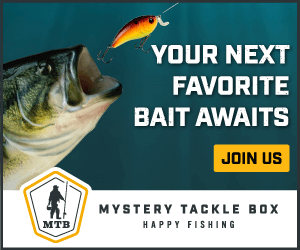 Very high strength situations – Have you ever had a largemouth break your line when you tried to muscle it out from heavy cover? Ever lost a cork to a snag? If you’ve fished much at all, the answer is clear. One way to deal with these situations is to run heavy-weight braid as your main line, doubling or tripling the strength of comparable diameter mono. That can enable you to muscle some bad boys out into the open, and it’ll generally prevent you losing your expensive tackle to snags. When we need to cast really far – A final situation in which we prefer braid is when long casts are the rule. Whether that’s because you need to target an inaccessible shallow, avoid spooking reds in a salt marsh, or cover a lot of water quickly, the casting advantages of superline are clear. Skilled anglers know the limits of this awesome line and take a simple step to get the most from it. Braided superlines don’t give, and that can lead to broken line. Moreover, braids aren’t very abrasion-resistant, and they can be frayed by oyster shells, rocks, tree limbs, and pretty much anything else. They also have a bad habit of knotting in the wind during a cast. What do we do to overcome these weaknesses? Leaders – We like to use a fluorocarbon or nylon monofilament leader at the end of our braided main line. These alternatives provide what braid doesn’t: shock absorption, abrasion resistance, and low-visibility. Drag – With or without a leader, because braid just can’t absorb shock, we always turn our drags to a lighter setting than we would with similar mono. Something needs to act as a cushion for line, and your drag will do this job really well if you turn it way down so that shock causes the line to unspool. Strip line – It’s a good idea to be generous with your line, re-tie often, and generally take a conservative approach to abrasion. If you see any “fuzz” on your line, that’s the first evidence of fraying, and it’s time to strip and start over. Yes, you’ll use more line–but what you have will perform as it should! Watch how much you spool – Overfilling your spool will encourage wind knots, and we always like to leave a bit more room than we would with mono. But given the ultra-thin diameter of comparable braid, you’re still getting a lot more line on your reel–just don’t be greedy! All braided superlines are strong and cast well; that’s a given. None of them knot particularly well, though, and abrasion resistance isn’t a strong suit for any of them. But make no mistake, not all superlines are created equal, and there are some things we look for in our top choices. Color choices – Braided line is hard to dye as well as opaque. As a result, it’s pretty visible. To cut down on this, we look for braids that offer a wide range of colors–a rare commodity for this kind of line. Colorfastness – Braid tends to bleach and bleed quickly, making a mess of your hands, gear, and boat. That also leaves your line a dull, murky white–which is far from ideal. Our favorite superlines resist this for as long as possible. Round and smooth – By nature of its composition, braided line is neither smooth nor round. But the very best lines will increase strand count to help, as well as coating their braid to increase these qualities. As a result, they are more abrasion-resistant and easier to handle and cast. Colors: Camo, Coastal Camo, Ghost, Low-Vis Green, Neon Lime, High-Vis Yellow, and Multi-Color. Sufix 832 is a popular choice among anglers, and it’s gained something of a cult following among braid enthusiasts. We like it a lot, too, and it’s our favorite braided superline due to its relative colorfastness, strength, and castability. Sufix takes a unique approach to the design of this line, using a fiber developed by GORE (that’s right, the company behind Gore-Tex!) that’s then braided together with seven Dyneema fibers to create a unified whole. Sufix claims that this improves strength, casting, and abrasion resistance, and one feel will confirm that this is very smooth, very round braid. 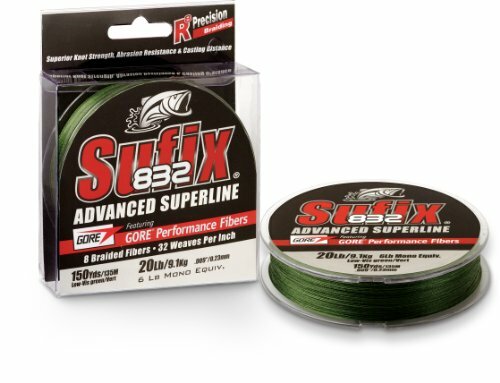 Casting is generally excellent with this line, and unlike many braids with a heavy coating, Sufix 832 doesn’t shed tiny particles all over your gear, bleed onto your reel, or feel stiff in your hands. Available in a wide range of weights and colors, there’s something for everyone and nearly every technique. As is to be expected with all braided line, you should anticipate some fading–though Sufix 832 is among the most colorfast braids we tried. And from the Coastal Camo to the muted brown of Camo, Sufix offers a few choices of color to help you match your conditions. If you fish and tie this line like you should, we think you’ll be hooked by its performance! 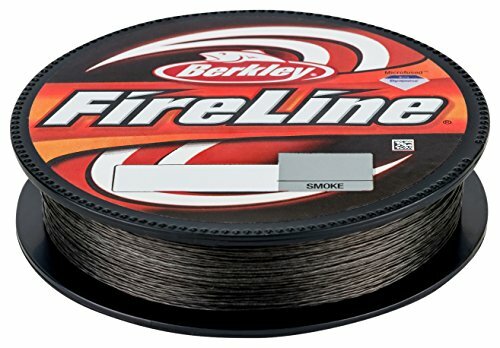 Berkley’s FireLine was one of the first superlines, introduced in 1996. Since then, it has impressed a lot of anglers. If you don’t need true heavy-weight line, and you prefer a spinning reel, FireLine is an outstanding choice. FireLine isn’t a true braid, but it begins life as one before being heat-treated to fuse the separate fibers together. This results in improved smoothness and abrasion resistance. That’s apparent in its casting performance, which is as good as any line we’ve ever used. Color choices are fairly limited, though, but they include “metered’ which offers contrasting colors to tell you how much line you have out. That’s a slick option, but like all braids, fading is an issue. What keeps this line from being our favorite is simple: it’s offered in a limited range of colors and weights and designed specifically for spinning reels. That said, it’s excellent line for these purposes. Daiwa’s J-Braid x8 is a great choice in a superline, and perhaps the closest rival to Sufix’s 832 that we’ve tested. Woven together from eights strands of Dyneema, J-Braid x8 is strong, and it’s available in a wide range of weights. Be careful when selecting your color, however, as not every option is offered in every weight. But given the huge variety of tests available, it fits a lot of situations well. We find J-Braid x8 to be very smooth, and it casts exceptionally well. Its color choices are reasonable, but nothing to brag about. Expect some fading, but that’s pretty much par for the course with braid. Some anglers complain that the coating on this line will flake and that in extreme heat, it can become sticky. Most, however, did not experience either of these issues. 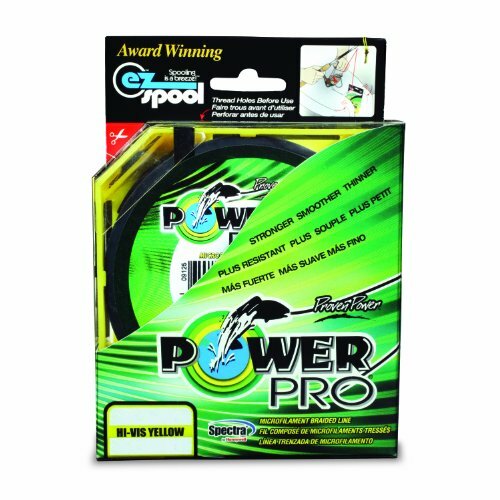 Power Pro’s incredibly wide range of weights makes it a popular choice in both fresh and saltwater, and its proprietary tech results in a very tough, very smooth superline. While not available in the range of colors of some of its competitors, this is very capable stuff. We wouldn’t hesitate to spool it on, especially if we need very heavy line. Power Pro uses Spectra fibers, infusing them with resins to improve the shape and abrasion resistance of the final braid. This both reduces drag through the guides and slows water penetration, as the infusion is through the component strands. An incredible range of tests make this a very versatile brand, and there’s something here for every situation. Power Pro casts well, though it can be a touch “noisy” through the guides. That’s no big deal in our book, especially when we watch our lures land where we want them to. If we have a quibble about this line, it’s the poor range of color choices. Basically, you have one high-vis color, red, white, and green. That’s not a lot of options, though this range will get it done. Overall, we’re pretty impressed with Power Pro, especially when we need heavy-weight line. 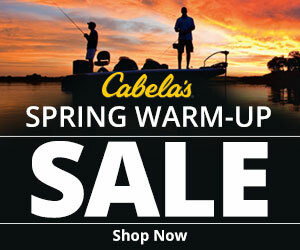 SpiderWire Stealth is an excellent choice in braided line that’s available in an extensive range of weights and colors. Be aware, though, that some colors don’t span that entire test range. SpiderWire Stealth is then coated with fluoropolymer to improve its roundness, smoothness, waterproofing, and abrasion resistance. The result is a very strong, very slick line that casts very well in our experience. Its color choices are pretty good, and there are quite a few options for different conditions and needs. 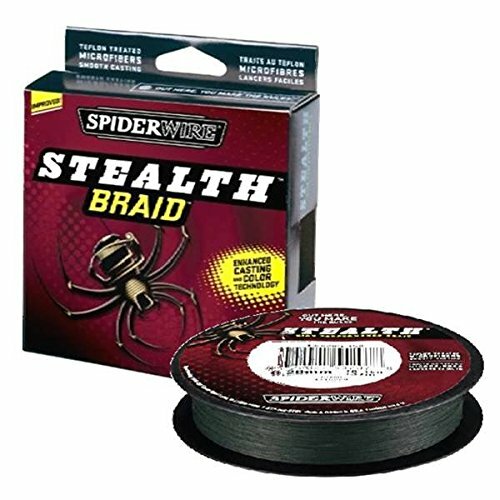 Unfortunately, SpiderWire Stealth tends to fade pretty quickly in the water. We like this line’s performance overall, but it’s not our top choice because of that. Our Pick – Sufix 832! Braided superlines have a lot of commendable qualities: great casting, super strength, and extreme sensitivity. What sets them apart are the details of color, colorfastness, and overall quality. In these categories, Sufix 832 is a real standout. All braids cast well and provide superior strength for diameter; this line shines in its range of color choices and ability to withstand sun and water. But if you need a wider range of tests than Sufix 832 offers, we recommend you take a close look at Power Pro. A huge selection is available, and this line won’t disappoint. 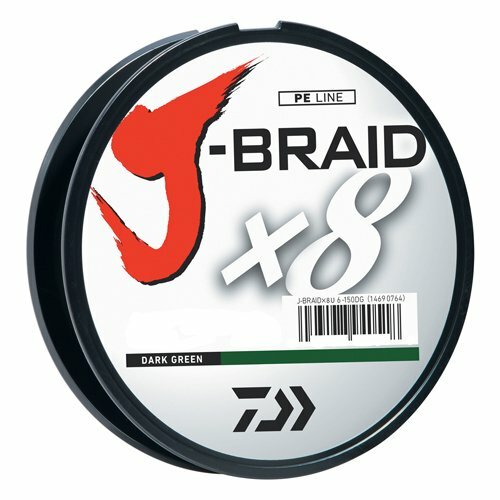 Another excellent choice is Daiwa J-Braid x8, which is nearly as good as the Sufix. All of these superlines are built tough and cast well, and if you understand the limits of braid, you’ll be happy with any of them. Let us know what you think of our recommendations, and if we’ve overlooked your favorite, please leave a comment below.